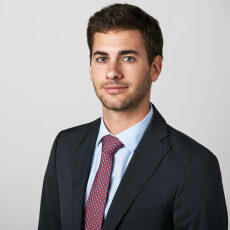 Lorenzo Frei is an associate in the litigation and arbitration group of Lenz & Staehelin Geneva. Lorenzo focuses his activities on civil and criminal proceedings involving multinational corporations, banks and other financial institutions. His expertise also includes advising individuals and businesses on a wide range of contractual, commercial, debt enforcement and bankruptcy matters.